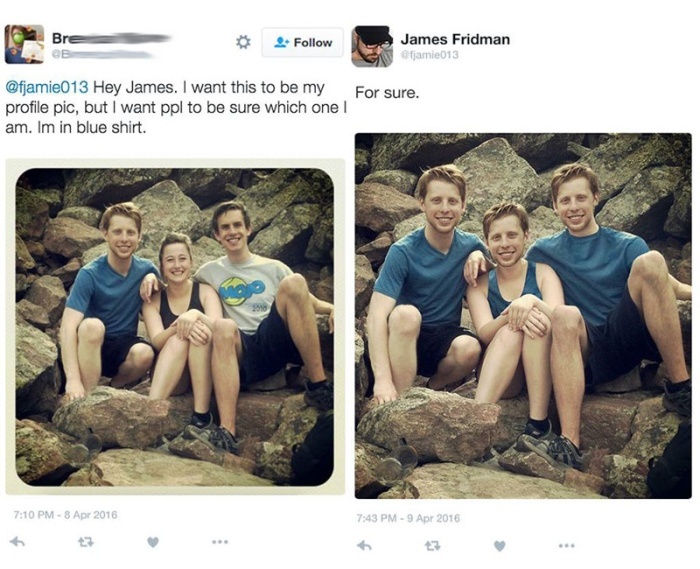 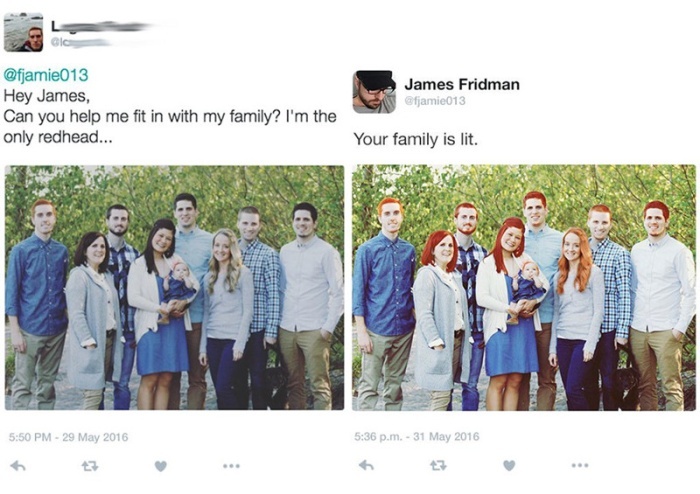 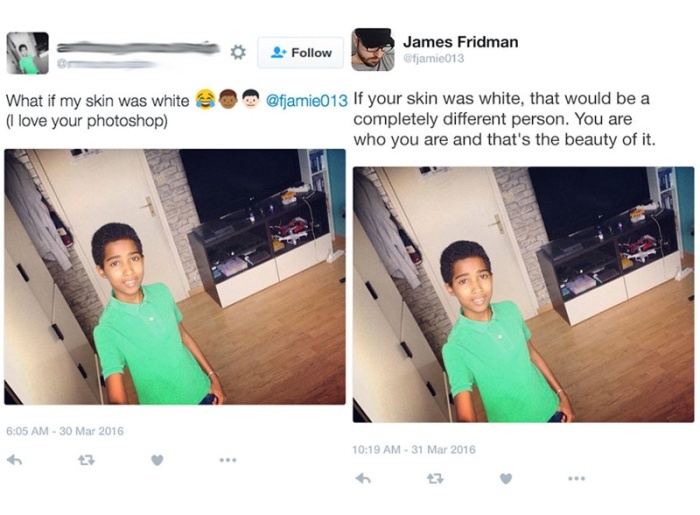 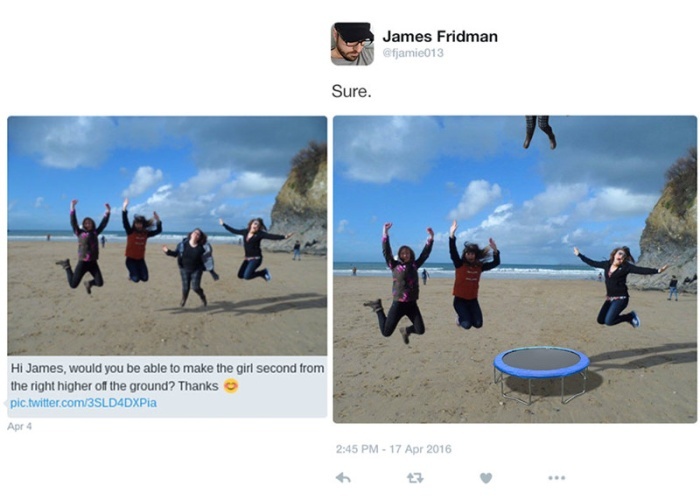 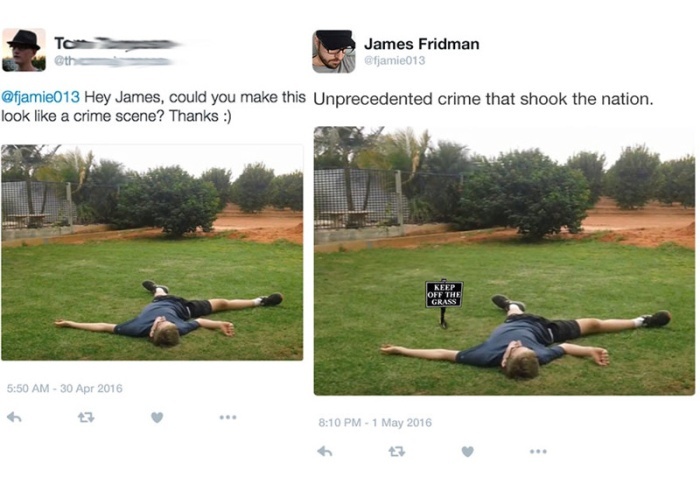 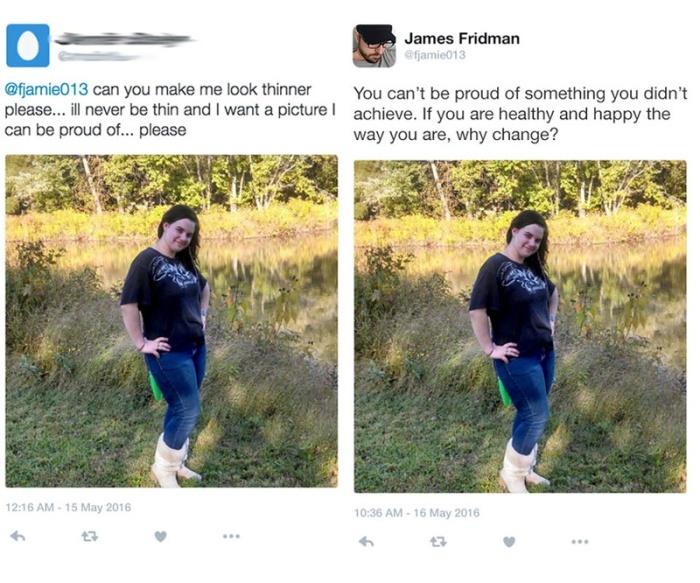 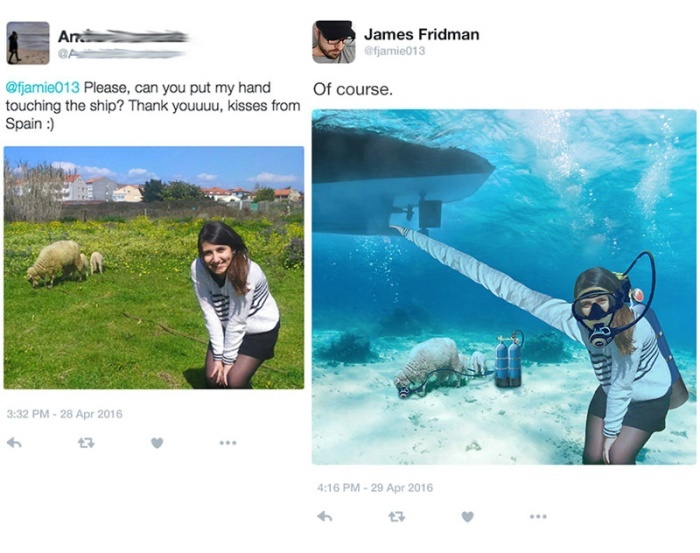 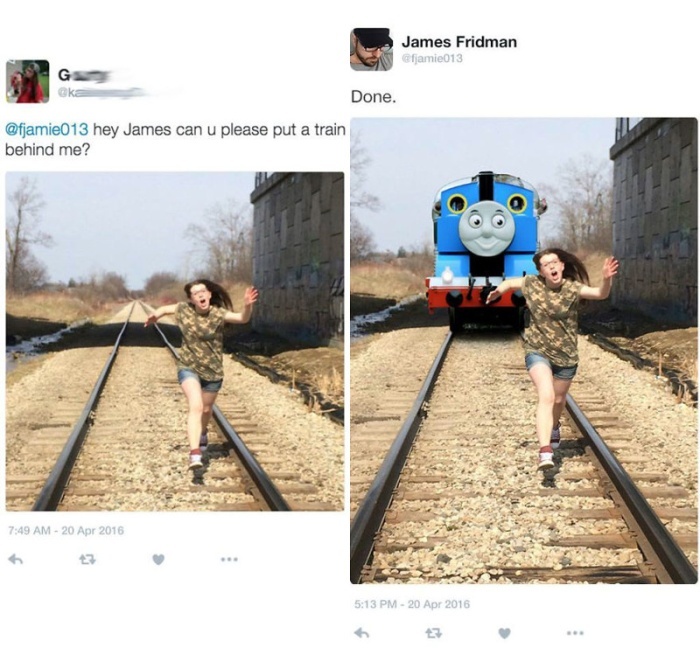 James Fridman is a photoshop guru and people are always asking him to edit their photos. 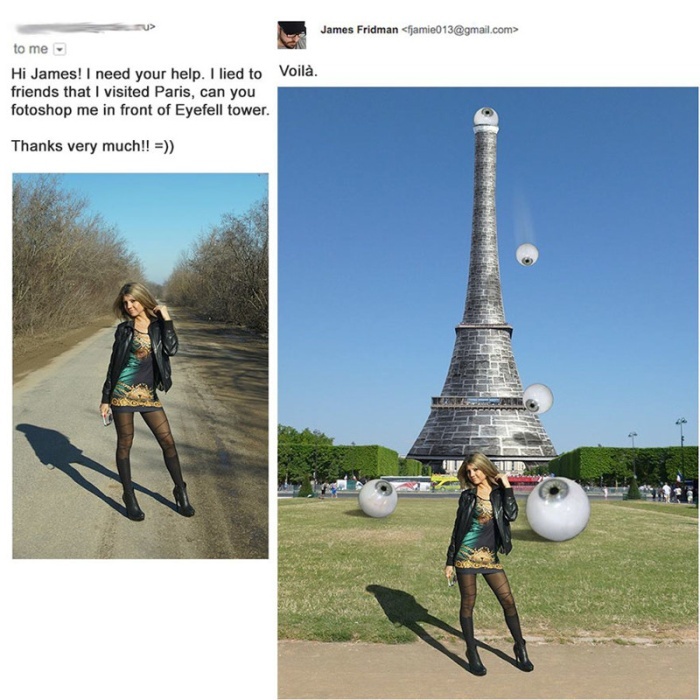 But James likes to have a little fun with the photos and he likes to inject them with a sense of humor. 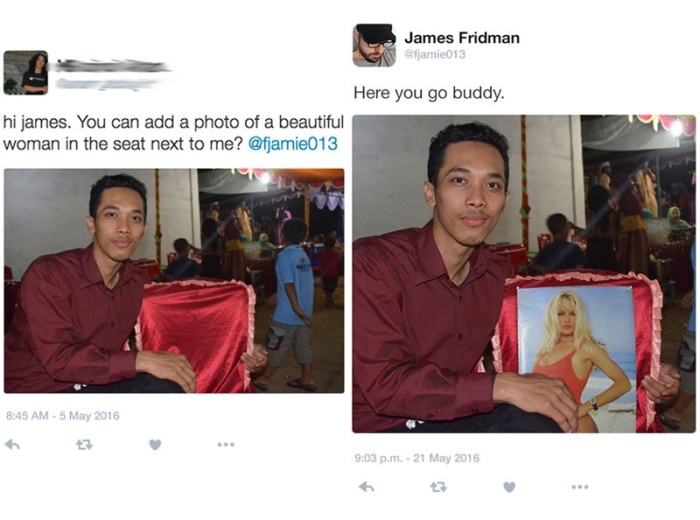 If you're looking for something a little more serious you probably shouldn't ask him to edit your photos.